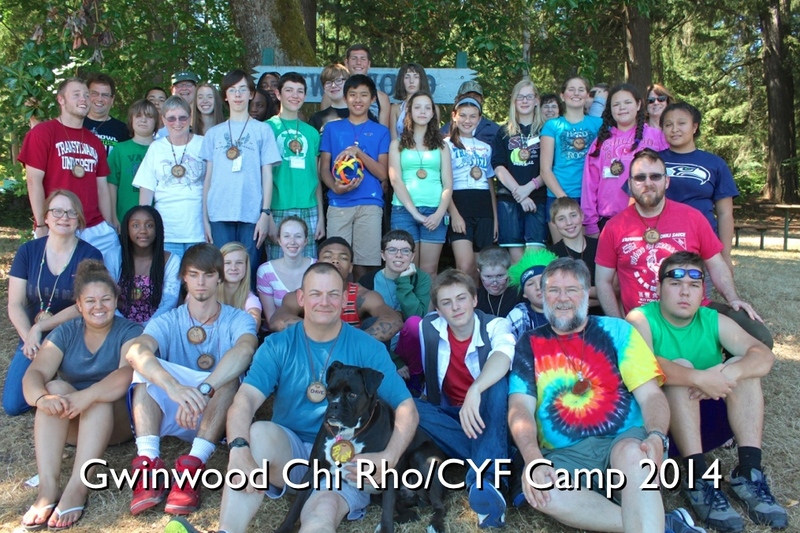 I spent last week at Gwinwood Christian Retreat Center, [(Christian Church (Disciples of Christ)] as one of the Chi Rho (Jr. High) counselors. The whole week was a wonderful experience and not just for the kids. Spending time with children and young people is a prayerful time. In the voices and faces of the young G-d is evident in all that they do, even the mischief. Jesus loved children and young people, he tells his disciples they are important to the breaking out of Kingdom of God; time spent with young people is time spent with G-d. When you are with kids’ prayer comes in many shapes and sizes, in still and playful moments, in laughter and in tears, and in soccer and in worship. The joy of seeing a young person open their eyes to a new experience of G-d, in priceless. Hearing their voices around the campfire singing “Peace Like a River” will make you’re your heart swell. Being a Camp Counselor is an experience you should not miss and if you are offered that opportunity please consider the prayer that is our Young People.